The trial of a novelist accused of inciting religious hatred in his last novel The daughters of Allah opened and adjourned in Istanbul yesterday. Nedim Grsel, who lives in Paris and is being tried in absentia, faces between one and three years in jail if convicted. The court heard testimony from the plaintiff Ali Emre Bukagili, a follower of Adnan Oktar who is known for his belief in creationism and rejection of the Darwinian theory of evolution. He said he was offended by the book because it was insulting to the Prophet and the Koran. Freedom of expression has limits. The public prosecutor has recommended acquitting the author on the grounds that an imminent and clear public order danger as required by the law has not been established. 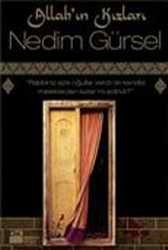 The novel was published in 2008. The case was adjourned to May 26. A Turkish author on trial after being charged with inciting religious hatred in a novel based on the birth of Islam said that his book was fiction, but the result of extensive research and consultation with religious leaders, and therefore could not be called blasphemous. An Istanbul court on Tuesday adjourned the trial of the author, Nedim Gursel, until June 25. An Istanbul court has acquitted the Turkish novelist Nedim Gürsel of inciting religious hatred with the publication of his novel The Daughters of Islam . Speaking by phone from his home in France the author said he was happy and even relieved to be acquitted of a charge which carries a maximum sentence of three years in jail. He had been worried when the directorate intervened, he continued, particularly because the evidence they submitted reproduced the errors in the original complaint, confusing the phrase Allah's servants in the book with the phrase Allah's lovers, and citing a description of Allah's daughters lying completely naked that did not appear in the novel. This means that the directorate wanted to condemn me without even having read the book, he said. An appeal may be lodged against the decision within seven days, but Gürsel considered it unlikely that a higher court would reverse the decision, since a police report concluded that the publication of the book had not disturbed the peace, a vital part of any prosecution for blasphemy under article 216. The author pronounced himself satisfied with the verdict, but sad that the trial had degraded the image of Turkey in the eyes of democratic countries. The offence of blasphemy shouldn't even exist in a secular republic, which is what Turkey considers itself to be. A Turkish cartoonist will be put on trial for a caricature he drew in which he renounced god, daily Haberturkreported . The Istanbul chief public prosecutor's office charged cartoonist Bahadir Baruter with insulting the religious values adopted by a part of the population and requested his imprisonment for up to one year. Within the circled wall decorations of the mosque, Baruter hid the words, There is no Allah, religion is a lie. The cartoon was published in the weekly Penguen humor magazine. One could write entire books attacking religion ranging, from simple insult, to well reasoned argument, but these would seem as nothing compared to the effect of a simple cartoon. Why do cartoons carry so much weight when it comes to religious debate? A gathering of Turkish and European parliamentarians in Brussels turned eventful when a far-right Dutch deputy lambasted Islam and Turkey and then attempted to present a supposedly blasphemous cartoon as a 'gift' to a Turkish minister. Barry Madlener, a Dutch politician from the Party for Freedom (PVV), first caused tensions when he said at a meeting of the European Union-Turkey Joint Parliamentary Committee that Turkey did not belong to Europe because it has a backward Islamic ideology that does not fit with European values. Islam and freedoms cannot coexist, Madlener said before accusing Turkey of restricting freedom of the press and Internet and criticizing increasing violence against women and homosexuals. He said even caricaturists were being put on trial and walked towards Turkish State Minister Egemen Bağış, one of the panelists at the meeting, saying he wanted to present him an illustration by a Turkish cartoonist as a 'gift'. The cartoon, published in Turkish humor magazine Penguen , landed cartoonist Bahadır Baruter in court, with a state prosecutor charging him in September with insulting religious values and demanding a one-year jail sentence. 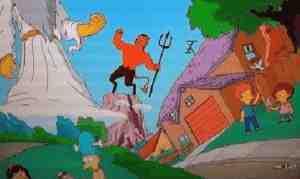 The cartoon proved controversial as the phrases there is no Allah and religion is a lie were hidden in the background. When Madlener attempted to present a framed copy of the cartoon to Bağış, Turkish lawmaker Akif Demirkıran, who was chairing the meeting, received the cartoon as Bağış was heard shouting, Don't take it! Bağış, who is also Turkey's chief negotiator for EU talks, then told Madlener: I have enough cartoons at home. Put it in your appropriate place. The EU Commissioner for Enlargement Stefan Füle attempted to calm down Bağış, who was visibly rattled. A Turkish prosecutor has proposed charging an internationally known Turkish pianist and composer with insulting Islamic religious values in comments he made on Twitter. An Istanbul court will decide whether to accept the proposed indictment against Fazil Say, who has played piano with the New York Philharmonic, Berliner Symphoniker, Israel Philharmonic, Orchestre National de France, and Tokyo Symphony. The prosecutor accuses the pianist of supposedly inciting hatred and public enmity, and insulting religious values. The charges result from some supposed mocking of Islamic beliefs about paradise. A Turkish court has now formally charged an internationally known pianist and composer with insulting Islamic religious values in comments he made on Twitter. 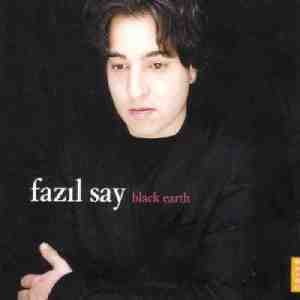 The court in Istanbul voted to approve an indictment against Fazil Say. He will now face charges of inciting hatred and public enmity, and insulting religious values. Meltem Akyol, a lawyer for Say, said the pianist has denied the charges. The trial will be held on Oct. 18, she said. Akyol said Say's supposedly insulting tweets and retweets on social media cannot be considered as public remarks because only people who follow him can see them. What if there is raki (traditional anisette drink) in paradise but not in hell, while there is Chivas Regal (scotch) in hell and not in paradise? What will happen then? This is the most important question!! Islam forbids alcohol and many Islamists might consider such remarks unacceptable. In one of the pianist's retweets, one excerpt questioned whether paradise was a brothel? according to the indictment. I am not sure if you have also realised it, but if there's a louse, a non-entity, a lowlife, a thief or a fool, it's always an Islamist. Dozens of the pianist's supporters gathered outside the courthouse with banners, one of which called on the ruling Islamist-based AK Party to leave the artists alone .Say has played with the New York Philharmonic, the Berlin Symphony Orchestra and others, and has served as a cultural ambassador for the EU. Egemen Bagis, Turkey's minister in charge of relations with the EU, suggested the case against him should be dismissed, saying the court should regard his tweets as being within his right to babble ...BUT... Bagis also criticised the pianist for insulting people's faith and values . Fasil Say appeared in an Istanbul court on October 18 and was charged with hate speech and insulting religion for Twitter messages mocking the conduct and beliefs of Islamic fundamentalists. In one tweet, he commented on a muezzin, who calls Muslims to prayer, for his hurried style. Apparently reflecting his distaste for the spread of fundamentalism in Turkey, Say tweeted a complaint about a call to prayer that lasted only 22 seconds, and added, Why such haste? Do you have a mistress or a glass of raki [Turkish liquor] waiting? In another message, he quoted the classical Persian poet Omar Khayyam, who asked if heaven should be considered a tavern or whorehouse, since it is described in the Koran as a place where wine is served by virgins. A third tweet by Say remarked, I am not sure if you have also realized it, but if there's a louse, a non-entity, a lowlife, a thief or a fool, it is always an Islamist. The Turkish prosecutors in the case argued that Say's tweets threatened public order. Say's case was adjourned until next February. About 100 people demonstrated against his indictment in front of the court in Istanbul, and members of the German Bundestag from across the political spectrum expressed their concern at the repressive attitude of the Erdogan regime. Many prominent Turkish personalities, including Egemen Bagis, Erdogan's cabinet minister for relations with the European Union, have also called for the case to be dismissed. Turkey's TV censor has fined a television channel for insulting religious values after it aired an episode of The Simpsons that shows the religious character God taking orders from the Devil. Radio and television censor RTUK said it was fining private broadcaster CNBC-e 52,951-lira ( £ 18,600) over the episode featuring the devil asking God to make him a coffee. Elected a decade ago with the strongest majority seen in years, prime minister Tayyip Erdogan and his Islamist-rooted AK party have overseen a period of unprecedented prosperity in Turkey. But concerns are growing about authoritarianism and critics of the government say it is trying to impose Islamic values by stealth. An Istanbul court has sentenced Turkish-Armenian writer Sevan Nisanyan to 58 weeks in prison for an alleged insult to the religious character Muhammad in a blog post. The charges were insulting the religious beliefs held by a section of the society. Let's share the article that was sentenced to 13-and-a-half months at the Istanbul 10th Criminal Court for insulting religious bla-bla. 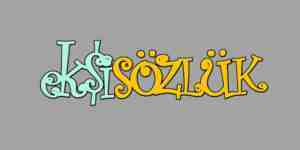 Prosecutors have charged Sedat Kapanoglu and 40 account holders with the blasphemy on the religious values of a society fraction due to their entries on Ekssiso zlu k, a popular social media website in Turkey. Those charged face prison sentences from 6 up to 12 months. The purpose of protecting the sentiments of those who believe in God, religion, prophets, holy writings and sects. Individuals may certainly express their opinions and criticize certain aspects. However, they must do this while not hurting other people's religious sentiments. Therefore, nobody has the right to damage the respect of others towards their sacred concepts. A Turkish court handed a 15-month jail term to a teacher over Twitter posts deemed religiously offensive, local media reported. In my present state of mind, I would not have created the little finger of human beings. Here (heaven) is very safe because there is no police.